Modern technology has given rise to various electrical demands. The large variety of product offerings for our different digital needs has led to the distribution of so many items that is is often to difficult one from the other. The RJ45 and CAT5 are two terms commonly found in cable technology and often thought of to be synonymous. In actuality, the two are different non-competing items with different functions. 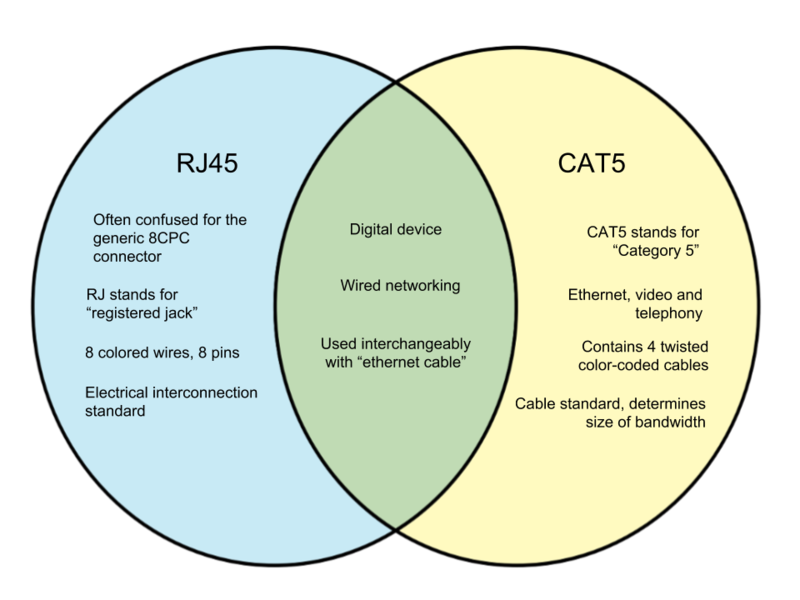 Below are the differences between the RJ45 and CAT5. The RJ45’s name is derived from the acronym “RJ” which refers to “registered jack” and started out an an interconnection standard for telecommunications. It eventually evolved in function, presently used for wired computer networking. The term is sometimes used to refer to the generic 8 position 8 contact (8P8C) connector, but this usage is actually erroneous. CAT5 refers to the “Category 5” cable, a twisted pair cable used in computer networks. 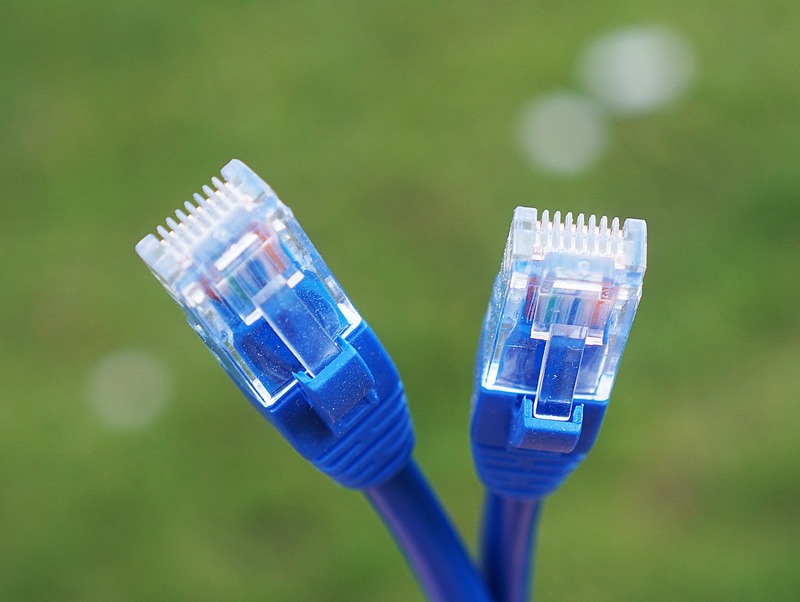 Aside from Ethernet over twisted pair, CAT5 cables are also utilized for video and telephony purposes. The standard provides performance of up to 100 Mbps.